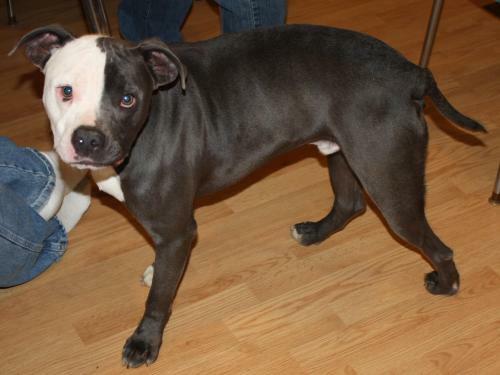 Our blue pit bull boy is so adorable; it is hard for the pictures to show! 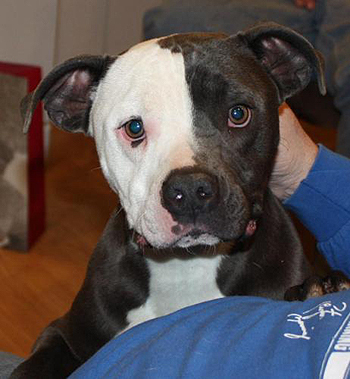 Named after Two-Face from Batman- Harvey Dent is a 1-year-old blue and white pit bull mix. He weighs 50 pounds. 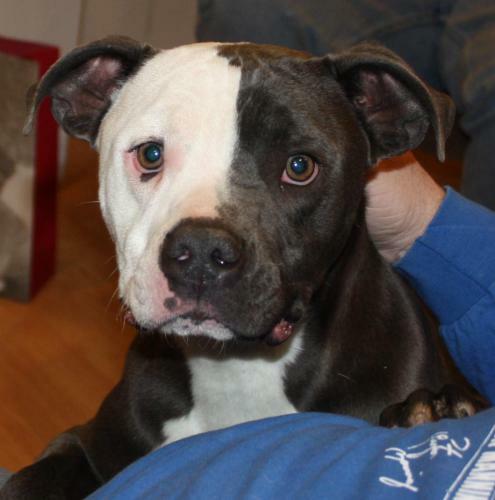 Harvey is a wonderful dog with a great temperament! He LOVES having attention and is so happy and friendly and social. Harvey is a great example for his breed. He is very easy going and seems to be well behaved. Due to his breed, we do recommend obedience training classes so Harvey can learn basic commands, although he already knows “sit.” Harvey is great with other animals, both dogs and cats. He tends to be more afraid of the larger dogs and wants to play with the small dogs. Harvey would also be fine with any age of children. He is such a good boy. Harvey thinks he is a lap dog and will constantly be cuddling on the couch or in bed. You won’t find a nicer pup out there! The adoption fee is $200 and is non-negotiable. 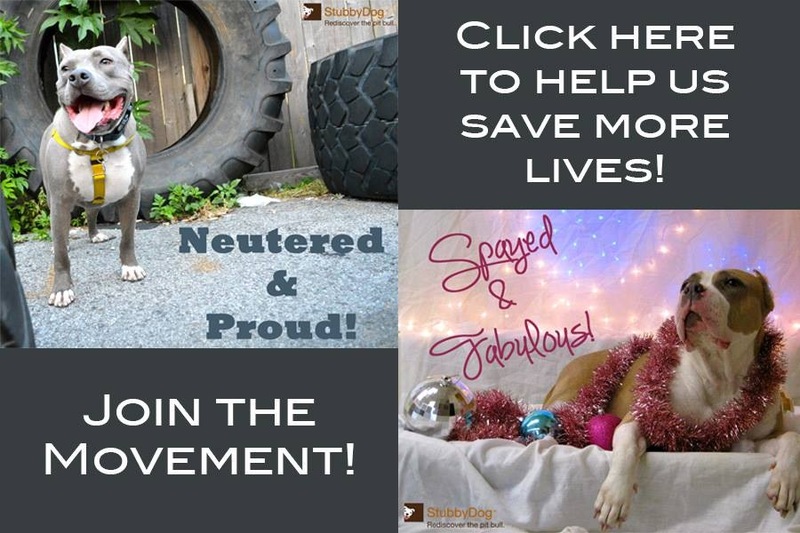 We are a not-for- profit rescue that operates solely on our adoption fees. We receive no outside funding from the county or state. In order for us to continue to save older and/or medically needy dogs, our adoption fees need to be high enough to cover their medical costs of getting the animals ready for adoption. The average stay for a dog at Rescue Farm is 21 days. The average cost of an animal during this time is $350. This includes medical care, food, shelter, exercise, spaying and neutering, and unlimited love. Harvey is currently available for adoption through Rescue Farm, which is located in Poland, Indiana. You can check them out on Facebook. If you are interested in adopting Harvey, please contact [email protected]. OH my gosh, what a FACE! Don’t those eys just tug on your heart? What a doll — I’ll be sharing him! aww what a gorgeous baby i wish i could have him!!! Oh my goodness… what a DOLL!